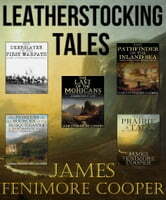 The Leatherstocking Tales is a series of five novels. 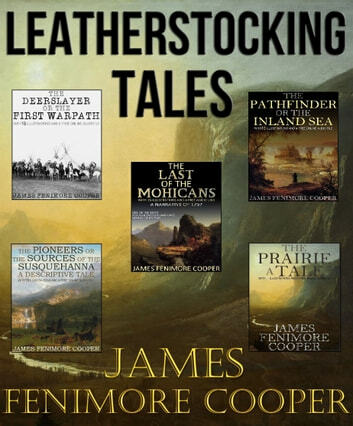 Each novel feature’s Natty Bumppo an Anglo-American raised in part by Native Americans, known to European settlers as "Leatherstocking," "The Pathfinder," and "The Trapper"; to Native Americans he is known as "Deerslayer," "La Longue Carabine" and "Hawkeye." Chingachgook, a Mohican chief along with his son Uncas, are close companions of Bumppo and follow him on his many adventures. Free web links to full-length audio recordings of the books – to either listen to online, or download. It is formatted for ease of use and enjoyment on your kobo reader. An active (easy to use) Table of Contents listing every chapter accessible from the kobo “go to” feature. Perfect formatting in rich text compatible with kobo’s Text-to-Speech features. Plus, about the Author section. 3901 pages (in the kobo format) for a very low price.